Pioneer LiftChairs offers a fresh new attitude to liftchairs/recliners. Easy to grasp wooden arms will provide you with more stability while getting in or out of this chair. The seat and back cushions will provide sink in softness for levels of comfort all its own. With its youthful appeal, the Pioneer is the ideal complement for any home or office. Let Golden Technologies LiftChairs take all the worry out of purchasing a liftchairs/recliners. Golden Tradional Pioneer LiftChairs craftsmen blend the finest components with superior designs to provide you with the utmost quality, comfort and style. Wrap yourself in comfort! 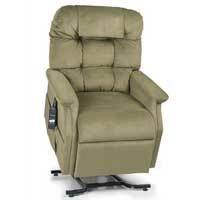 The Williamsburg is a liftchair /recliner that features a soft colonial design with traditional wings. This fashionable button-back design provides comfort and proper support for much needed relaxation. The Williamsburg LiftChairs will enhance your life as well as your decor. 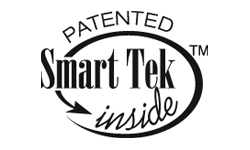 Let Golden Technologies LiftChairs take all the worry out of purchasing a liftchairs /recliner. Our expert craftsmen blend the finest components with superior designs to provide you with the utmost quality, comfort and style. 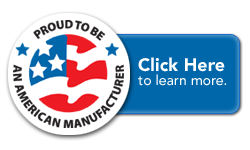 We confidently stand behind all our products and provide you with the best warranties in the industry. Choose the lift/recliner that all others are measured against...choose Golden! The Cambridge LiftChair have been improved and now comes standard with a full chaise pad! 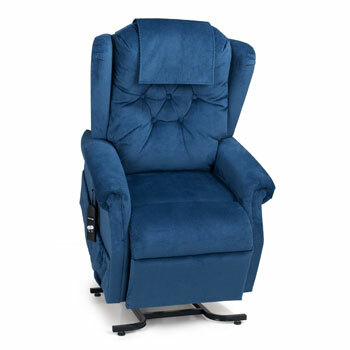 The Cambridge PR401 LiftChair features a plush, overstuffed "biscuit back" design for long, restful hours of relaxation and sleep. The Cambridge comes in Golden's exclusive SofTouch(TM) fabrics in Cognac, Sage, Sapphire, Mulberry and Rose. 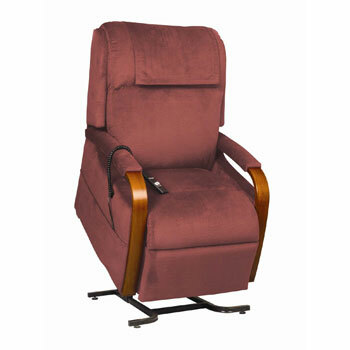 Choose from the liftchairs/recliner that all others are measured against...choose Golden! recline mechanism and wood frame. models except Capri, Slimline and Monarch, which are limited to 6 months. Golden to pay cost for transportation, handling and packaging of the parts or components. year 7 a 5% discount. By way of example, a part costing $100.00 that needs replacement in year 4 would cost $65.00.